S&N Stainless Pipeline Products stocks and distributes all grades of stainless-steel and nickel alloy pipes, associated fittings, and flanges, as well as a variety of pipeline related products. The family owned company has more than 30 years of experience in serving the demands of the oil and gas, petrochemical, and nuclear processing industries. 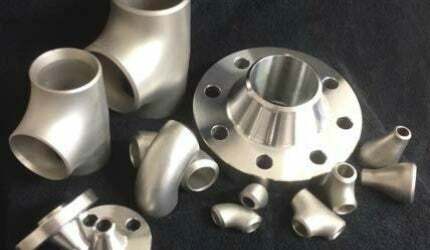 S&N provides all grades of stainless-steel and nickel alloys. Our selection of stainless-steel material grades includes 316L, 316H, 304L, 304H, 321, 321H, 347, and 347H, as well as 6% molybdenum stainless-steels, UNS S31254, UNS N08926, UNS N008925, UNS N08367, and ASTM A182 F44. In addition, the company offers comprehensive stock of pipe flange forgings, which can be customised to the specific needs of its clients, in order to guarantee a fast and efficient service. All materials supplied by ISO 9001 and NORSOK M-650 approved manufacturers ensure the highest quality that the industry demands. S&N has invested heavily in its in-house processes, such as all forms of non-destructive testing, liquid-penetrant inspection, magnetic particle inspection and ultrasonic inspection, together with positive material identification and ferritescope examination. All these processes are carried out on-site by fully industry recognised, accredited staff. S&N Stainless Pipeline Products provides a full materials management service, from design to procurement (including production), through to logistics for delivery anywhere in the world. The company believes its continuous growth and success is mostly down to the trust and support of all clients and its commitment to customer service. Through its dedication to supplying high-quality products and providing on-time deliveries, the company has established itself as a reputable supplier of 6% Moly, duplex and super duplex pipes, pipe fittings, flanges and all pipeline-related products worldwide. Over the past 11 years, S&N has moved from strength to strength, even during recent difficult economic times with continued support from its clients. S&N Stainless Pipeline Products will be exhibiting at the Stainless Steel World Conference and Exhibition 2015 in Maastricht between 17 -19 November. S&N Stainless Pipeline Products Ltd. is a leading stockist and distributor of pipe, pipe fittings, pipe flanges and a full range of all pipeline related products.